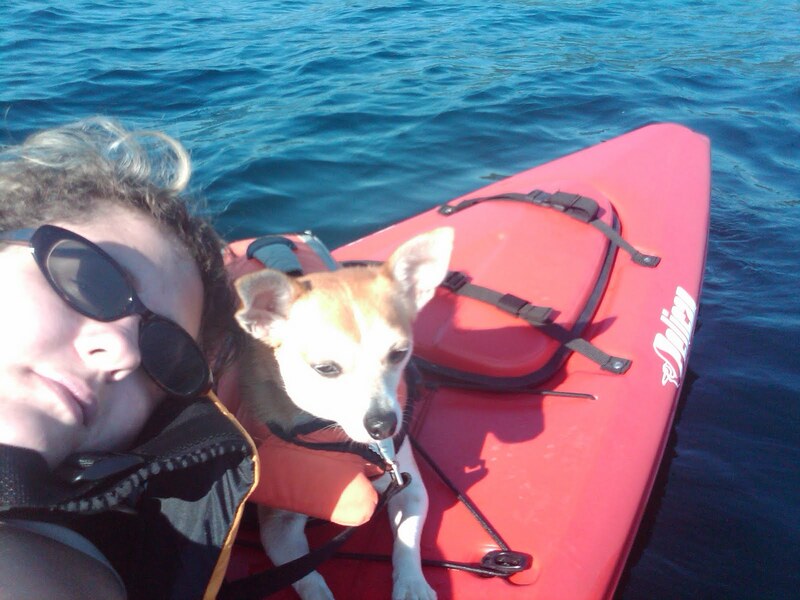 There are many places I get nervous taking Toby, because I’m afraid he is going to act up, start barking or get nervous, but when it comes to kayaking, I don’t even think twice. His first kayaking adventure was in New Jersey on Father’s Day when he was 5 months old, and he’s been coming with almost every nice summer weekend ever since. 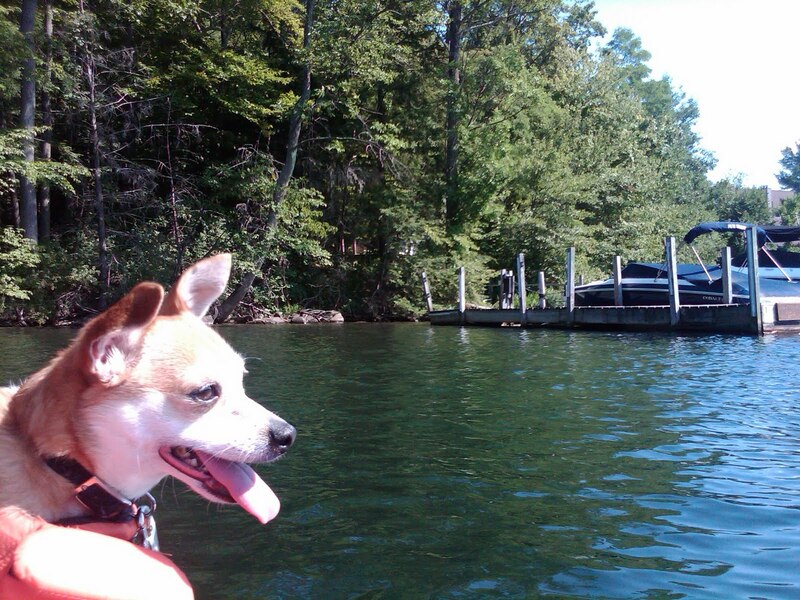 Most summers we go go almost every weekend, so he’s been to a number of lakes in upstate New York and around New Jersey. And, every time, I get the same stunned reaction from people, “He just sits there? He really kayaks with you?” Yes. It’s been so rainy that yesterday was the first time we got a chance to go out for a kayak, and that was only for a short time, compared to the normal full-day paddle we do. In the smaller 10-foot kayak we started out with him sitting in front of me in the inside of my boat, but he always wanted to sit on the front so he could see out. Then, when I got my 12-foot kayak, there was a larger flat area in the back, which Toby decided would make the perfect spot to soak up the sun. He’s actually very smart when it comes to safety, too. Typically he will lie on the back, but when there are waves he knows to stand up and steady himself. If it gets too choppy, he also nudges me to come and sit inside the boat in front of me. Toby’s Outward Hound lifevest is always on him, usually from the moment we get near the water, and for extra safety his leash is hooked around my lifevest. The second most asked question I get is, “Does he take a swim off the back?” Sometimes. 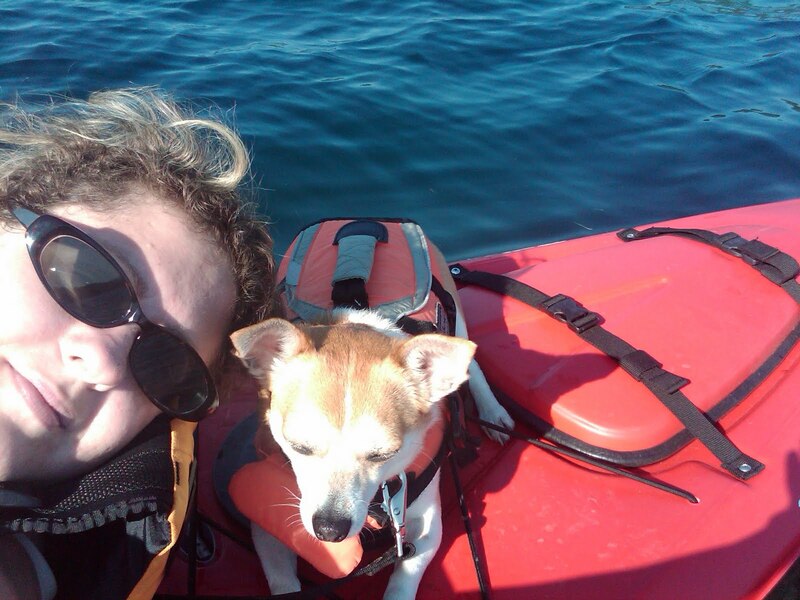 Despite loving to kayak, he doesn’t like to swim, and unlike most dogs he won’t go in the water off a beach. However, he has been known to be so curious about something that he sticks his head so far over into the water that he falls in. On really hot days he will also jump in to cool off, but since he was a pup, he doesn’t really like to stay in the water for long, so I quickly scoop him up. Boaters always get a kick out of it, and usually stop and chat for a sec. I always find this funny, because most of the time, they have a large dog on their boat with them. I guess people don’t really think of a dog on a kayak. When the big tourist steamboats go by when we’re on Lake George, people start pointing and waving to us. It’s actually very funny. 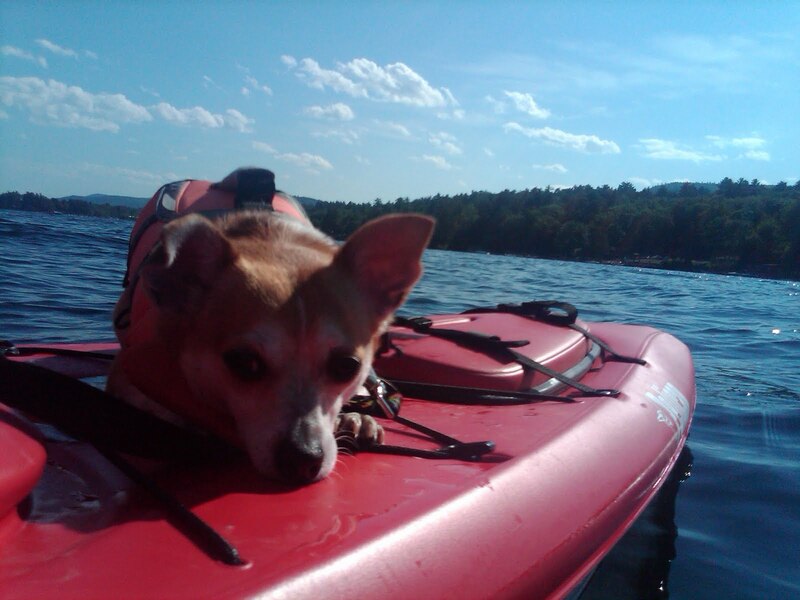 One of the places where we put our kayaks in a lot is the Lake George Kayak Co. in Bolton Landing on Lake Geroge, and they are always so welcoming to Toby. Next Post Summer Giveaways – Christmas in August! This is so cute! I can't imagine trying to take my 8-year-old beagle kayaking. She'd jump out…or cry in fear! Great timing – Rod and I have been talking about taking Buster and Ty kayaking. With the encouragement, I think we're going to give it a shot! 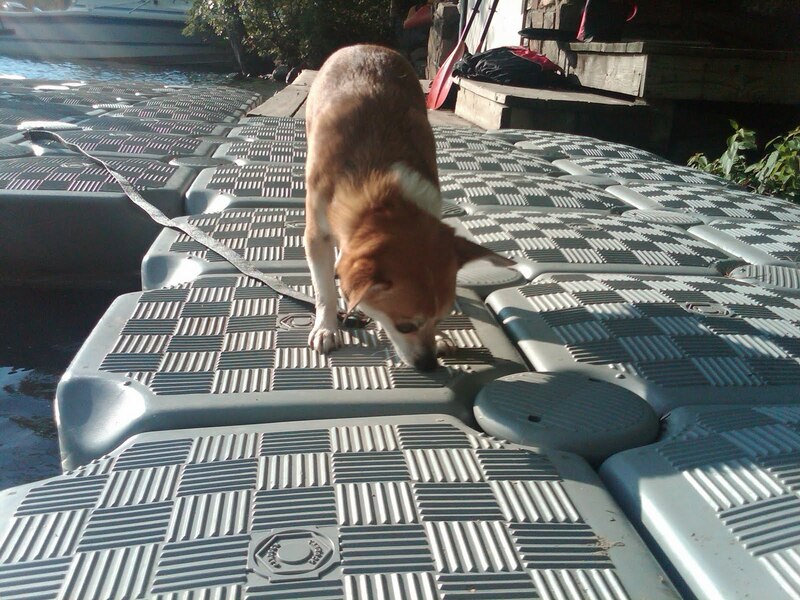 We hear there are boating cats, but all Teri can think of is scratches on her thighs…hahameow!